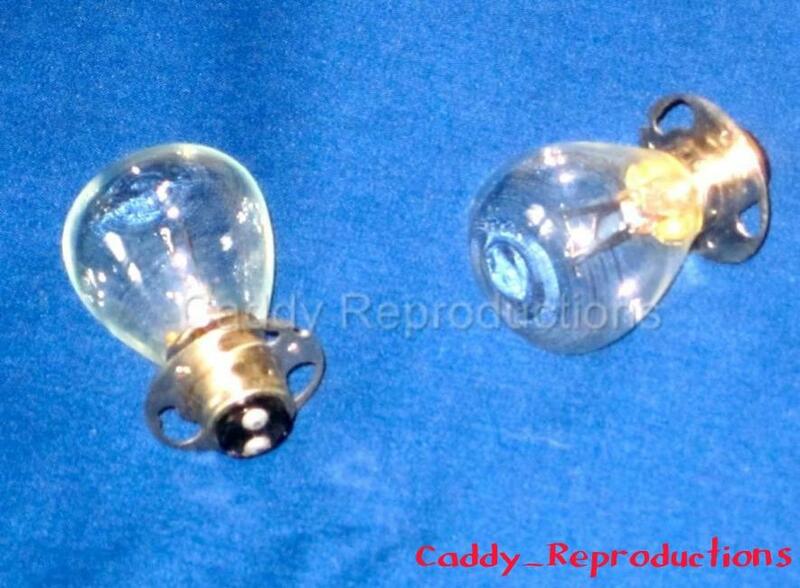 Here is a Pair (2) of Cadillac Fog Light / Turn Signal Bulbs for your 1953 - 1962 Cadillac. These are New in the box. 12 Volt Double Filament bulbs. We also carry the original style bulb covers that make these bulbs work properly as they were from the factory. Check them out in our store! Please Note: The picture of the Reflector & other bulbs are Not Included, The Picture is for reference Only.